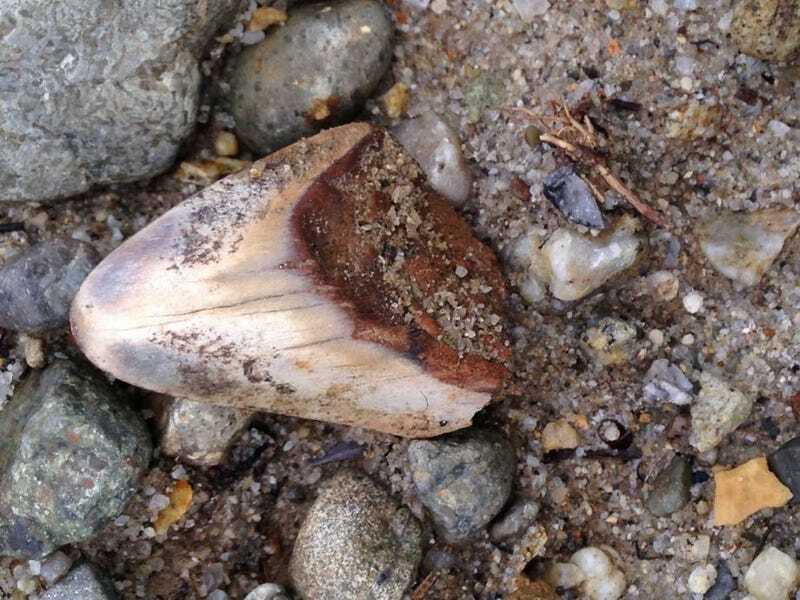 The Santa Cruz Mountains seem like an unlikely spot to stumble upon a 10 million year old tooth from a 60-foot shark that lived during the Cenozoic Era ... but that's exactly what happened to scientist Giancarlo Thomae this week. "I was ecstatic when I found it," Thomae — who works for a whale watching company and has been a fossil hunter for 20 years — told the New York Daily News. It's the third Megalodon tooth he's unearthed as part of his hobby; he's also found a four million year-old great white shark tooth and an Ice Age bison tooth, as well as "the tooth of an extinct mammal (Paleoparadoxia)that was similar to a hippopotamus, ribs from an extinct Steller's sea cow, and teeth from an extinct species of sea lion," according to SFGate. Recent heavy rains in California has helped nudge long-buried rare specimens to the surface. Seems like Thomae's on quite a roll ... wonder what he'll dig up next?